The perfect purpose built venue to celebrate any occasion. The County Bar Lucan has a brand new private function room upstairs perfect for any celebration or event. Featuring an extensive Bar and food servicing areas, the private function room is purpose built to facilitate a great night’s celebration. Catering for up to 150 people, the private function room of The County Bar Lucan is one of the top venues in the West Dublin area for your partying needs. Our Party Packages offer brilliant value and provide all-in packages for food catering, room hire and DJ entertainment from only €500. For a party of 100 people, this amounts to just €5.00 per person. 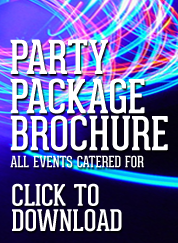 Click here to view our Full Party Package Brochure or contact Simon on 01 628 3075 or 086 232 1095 to find out more.